451 CE, near what is now the French city of Chalons. 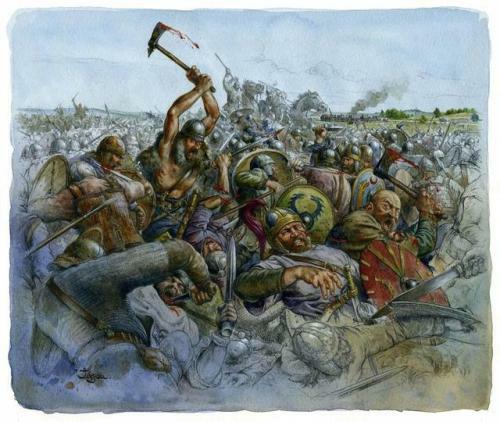 The armies of the western Roman Empire and the Huns met in what would be the stalemate of the centuries. 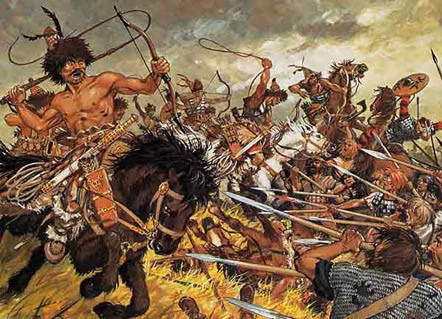 Attila the Hun wanted to claim half of the western Roman Empire for himself, while the Romans desperately clamored to defend what little territory they had left from their glory days. Each side brought allies: the Huns, their loyal subjects the Ostrogoths, and Rome, their hesitant mercenaries, the Visigoths. 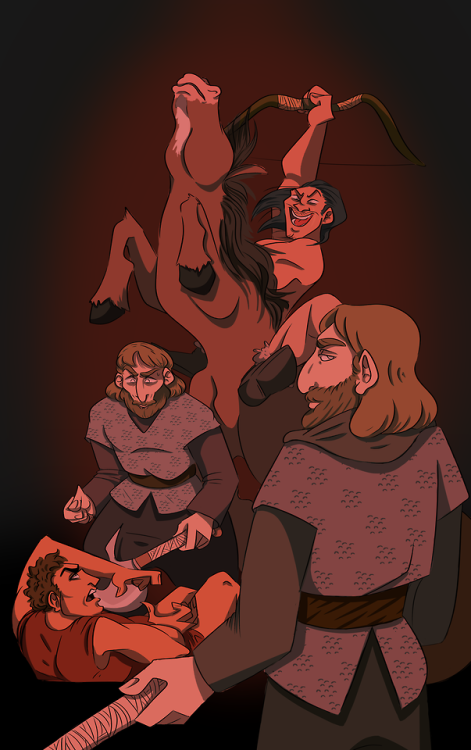 The Huns were checked, the Roman army was crippled, and the Goths bore the pain of fighting against their brethren.